I usually try to keep show reviews to the point: Here’s what happened; how it went down; and where it went off the rails. But this isn’t a normal show. 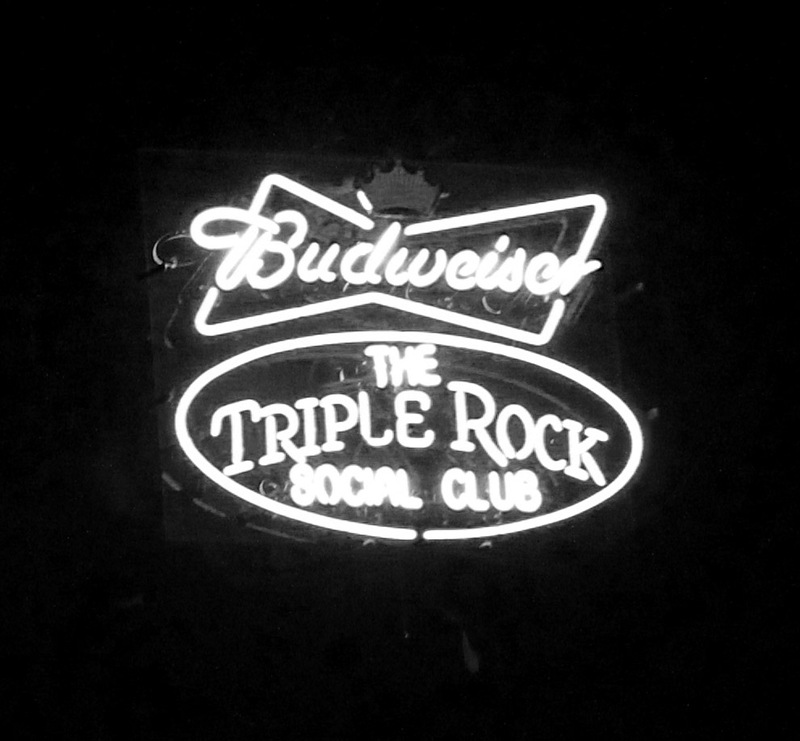 Dillinger Four headlined and Negative Approach destroyed, but it was really all about the Triple Rock on Tuesday night. After opening its doors in 1998 as a bar and adding a venue in 2003, the nationally recognized club went out big. When I turned my back at approximately midnight and walked up Cedar Avenue, I knew that the distinct three diamond sign behind me wouldn’t light up again. This is supposed to be a show review. I’ll get to that. First, it’s a eulogy. 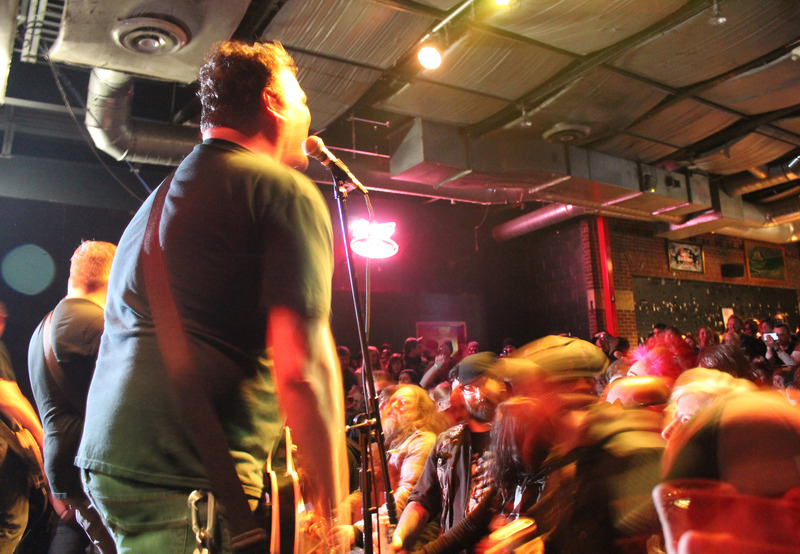 Established by Gretchen and Erik Funk (of Dillinger Four), the club has played a central role in local music for nearly two decades. It’s hosted countless touring bands. I caught The Weakerthans on multiple tours when they crossed the border into Minnesota; I saw Naked Raygun dominate the stage for an entire weekend; I saw Lifter Puller reunite in a parking lot bash. I’ve eaten meals at the bar, enjoyed happy hours, hung out with out of town friends, made new friends, been on dates with my now-wife, discussed marriage with friends, and so much more. I’ve been upstairs in the office, backstage with musician friends, and in every corner of the floor and stage at some point in time. Beyond my own connections, it’s been the subject of a NOFX song, namedropped by The Hold Steady, and so much more. The stories about the magical musical performances, the vegan comfort foods, the ridiculous shots, and the long-forgotten drink board will live on. Shortly before the clock struck midnight on Tuesday night, Paddy of D4 announced that “Putting the ‘F’ Back in ‘Art’” would be the last song ever played on the stage. A few minutes later, Har Mar Superstar pleaded with the audience to keep him crowd surfing until D4 did a rare encore. The crowd failed his crowd surfing goal (much better than crowdfunding, btw), but history will note that the last song was “O.K. F.M. D.O.A.” The one-song encore was worth it. I also came to the club for an unticketed event the previous night. Since I’d already seen six bands this week, I’ll admit to coming late. I missed The Slow Death (which is a shame), and caught the end of Victory’s set. Up next, Kitten Forever talked about how Triple Rock gave them a stage to become the band they are today, even if they didn’t come from the same background as many of the white males in the room. They blasted through an instrument-swapping set with a unique energy that’s equal parts rage and party-music, screaming and singing coyly into their adapted telephone microphone while trading instruments amid band members mid-song without missing a beat. Negative Approach are almost beyond words. Anyone familiar with their fury can try and image the live recreation. It’s pummeling, unfiltered fury amid a chaotic sea of clenched fists, reckless stage dives and gallons of sweat. The relentless, minute-long songs form wave after wave of crowd insanity until the audience and band are a seamless puddle of spent energy. D4…I’ve seen this band a million times. Because they’re awesome. It was a standard show in many ways, with the band on point more often than not (OK, not always a given). They played very well, with few missed notes and setlist mix-ups. Even the banter was contained, because it wasn’t about the headliners tonight. It was about the venue: the staff, and the community who has grown with them for the last 19 years. While many recent sets by D4 have been heavy on Civil War songs, this one leaned pretty equally across their catalog, though few retired gems from the 7” days popped up. On the floor, the crowd was clearly emotional, but took out its frustration positively, by getting into each band and bouncing (and thrashing about) instead of the fake glow of selfie-sticks and text messaging that pollutes most shows these days. It was hot as hell and the bar was literally running dry. (Shortly before my last drink order, the bartender killed a keg, turned to the customer and said, “You guys are fucked.”) It’s hard to summarize, because while D4, Negative Approach, and the whole night’s bill were outstanding, the night was about the venue. It was a really great show, from start to finish, but it was beyond the bands on stage. It was personal, and everyone in the room was connected by a live soundtrack. I suppose I should mention the cameo between bands by The Brian Boru Bagpipe Band, who marched through the small venue in traditional uniform prior to Negative Approach’s set. It was a unique and touching moment, but in the context of this narrative it doesn’t fully warrant much attention. 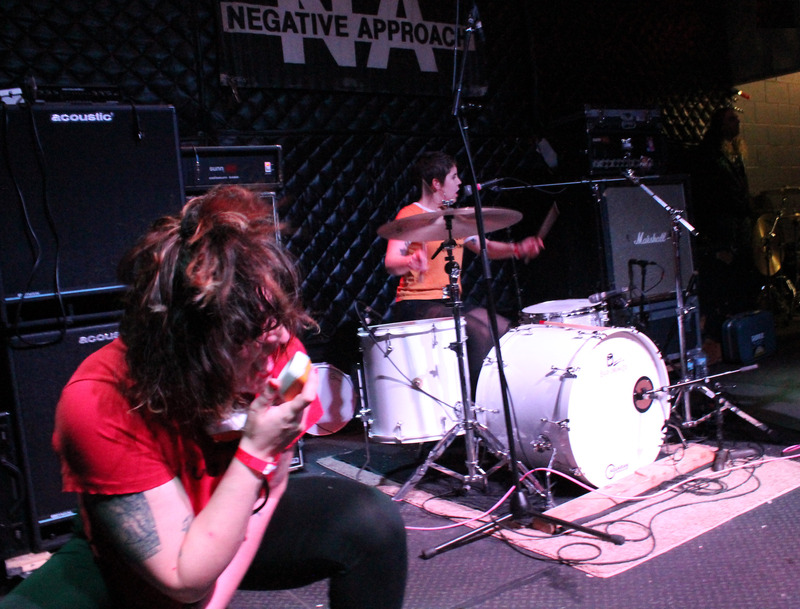 The Triple Rock was a special place: there are dozens of venues in Minneapolis-St. Paul, but few pull off stunts like this. It really was unique, a reflection of ownership and staff. Musically, it goes much deeper. They’d book local bands who normally do basement gigs, and not as a one-time thing. Bands need a stage to figure things out. Like Kitten Forever said, Triple Rock provided this in a way most places do not. In many ways, Monday night felt like the true sign-off for me. Tuesday sold out in record time and was packed with emotional bodies, but it was more organized and more of a spectacle. Monday was the goodbye, Tuesday was the send-off, and now I’m in mourning. It felt a little strange when the annual D4th of July wasn’t on the 4th of July this year this year. (It was on the weekend instead.) At the time I shrugged my shoulders. Weekends are better for me: I’m pushing 40 and weekday shows are hard to do. I’m currently in the stages of grief, blaming myself. Next year, who knows if D4th will even be a thing. Traditions change and die out, and new ones rise in their place. 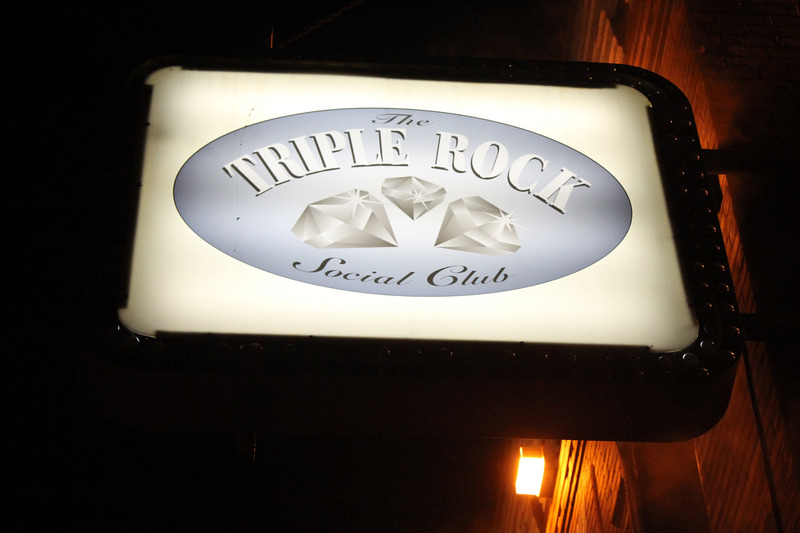 The Triple Rock is already missed. Let the stories live on and let something new and wonderful rise from its influence. Scenes change but they'll never be the same.